When I started becoming seriously interested in pursing a career in photography, I stumbled upon the blog of a wedding photographer who told about her weddings, her love of home decor and her life with her husband and cute bichpoo, Bokeh. Ever since then, I’ve followed her blog and seen her business grow exponentially. When I heard she was holding workshops, I promised myself that I would one day go! A few months ago, I decided to make the HUGE investment in myself and my business and go to Katelyn James’ April 2014 workshop!! Located at her home. In VIRGINIA. So this past Sunday, I cleared my schedule for a total of 4 days, packed up exactly 4 outfits (and a total of 6 pairs of shoes) and set off for 1 full day of travel each way for Katelyn James’ two day workshop. And let me tell you, it was SOOOO worth it! 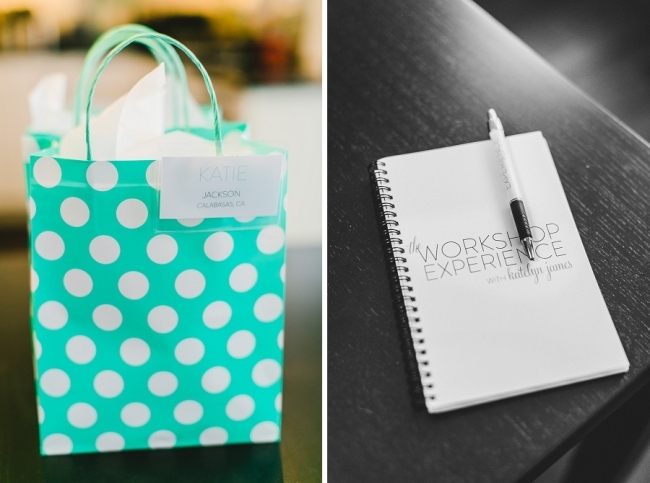 I’ve actually heard Katelyn James talk several times at various photography conferences (including this one where I then got my face on Justin and Mary’s blog – 4th picture from the bottom) but I still learned SO SO much from her workshop. And honestly, I wish her workshop could be even LONGER, because I know I have so much more to learn from her. If you follow Katelyn’s blog, you know that she has AMAZING taste in home decor. And let me tell you that her home is even MORE amazing in person. Every inch of her home (ok, fine I didn’t see EVERY inch, but what I did see) is perfectly styled. She went through my website and blog and gave me personalized branding critiques– which I loved and was so helpful to me personally. I can’t wait to make all the changes that she suggested:) (She did the same for the other 11 workshop attendees as well- AND she stayed up until midnight to make sure she got to everyone. Now THAT is dedication). She is an open book. She let us ask questions about ANYTHING and didn’t hold back. She is a MACHINE. In a good way:) She gets so much done in such a short amount of time. And she never makes excuses. She is truly an inspiration. I love Bokeh (her cute dog). At every meal, they served Crystal Light Mango Peach Green Tea and now I’m obsessed. Day 1 was all about posing, light and we got to participate in a styled shoot! The one and only Bokeh! If you follow Katelyn at all, you KNOW she absolutely adores her bichpoo, Bokeh! Then of course, I had to hug Bokeh. More than once…. While I was in Richmond, VA, I stayed with Hollie (a fellow workshop attendee), her husband and their cute son. She generously offered to let me stay at her home when I met her at a conference earlier this year and I’m so glad she did! It was so nice getting to know her and her family and I was beyond grateful for their generosity. Then we went out to the styled shoot! It was literally my dream wedding. These colors are to die for! Katelyn explained the best way to photograph the setup without giving away the fact that we were actually shooting in front of her garage. She also showed us the back of her camera to display what we should be going for. Bokeh couldn’t come outside, but he sure was curious to see what was going on! Could he be any cuter?! About 20 minutes into the shoot, it started raining. HARD. So the whole set up got moved to the porch. Thank goodness they have a huge porch!! I wish I could post more from the styled shoot, but we need to wait until after it gets accepted for publication. Day 2 was all about BUSINESS. I loved that Bokeh would just randomly run in and start playing in the middle of the floor. He is so adorable!! Some of my fellow workshop attendees! Then Katelyn took pictures of each one of us and in the meantime we looked through all of her albums and her new Bridal Resource Guide! I loved being photographed by Katelyn and I can’t wait to use these images as my new profile picture! 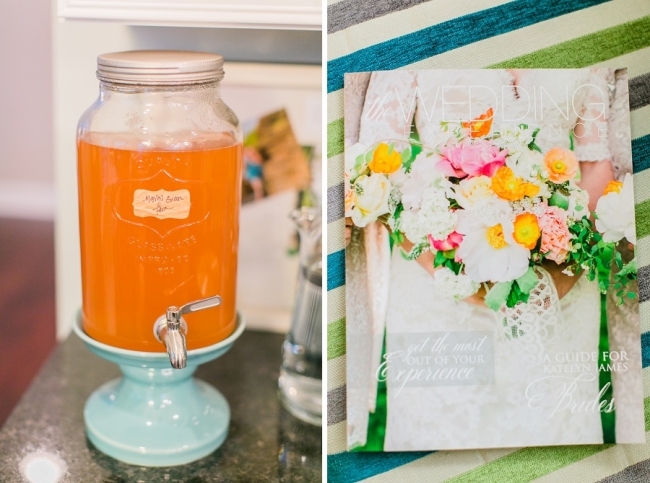 You can see a sneak peek of the images on her blog HERE. Hollie took these images of me being photographed and the ones of me and Katelyn together. Want to see more of this talented girl? Check out Hollie Dyson Photography HERE. And guess who took this last image of me and Hollie with my camera?! None other but Katelyn James herself! I am beyond thankful to have had the opportunity to go to Katelyn’s workshop and to make some great friends in the process! I can’t wait to see what is in store for our businesses! Thank you Katelyn and Michael (AND your MOMs!!!) for making us feel so welcome in your home and for putting together a workshop that was more than any of us could have hoped for!! I can tell that you absolutely love what you do and that your passion for giving back to your community is making a huge difference! If you are interested in attending The Workshop Experience with Katelyn James, I highly recommend it! Sign up for her newsletter and visit her workshop website to see when the new dates will be announced! P.S. One of my goals that I took away from her workshop is to blog several times a week, so if you’d like to keep up, please find me on Facebook or Instagram (@KatieJacksonPhoto)!! That is so awesome! I really want to do a coaching session too:) You really need to do her workshop one of these days! We had over 24 hours of instruction and it was so worth it! It was SO nice to meet you at the Workshop. I really admire the talents of the whole group. I hope that in a year, through osmosis, it will all rub off on me. Your blog is beautiful, you are beautiful, and all good things ahead! I will think of you, with envy, next April (hee, hee).